Newswise — For conditions in Iraq to improve, the nation’s leaders must address the void left from millions of Iraqis fleeing the country during the past 20 years, said an Indiana State University professor who is a native of Iraq. 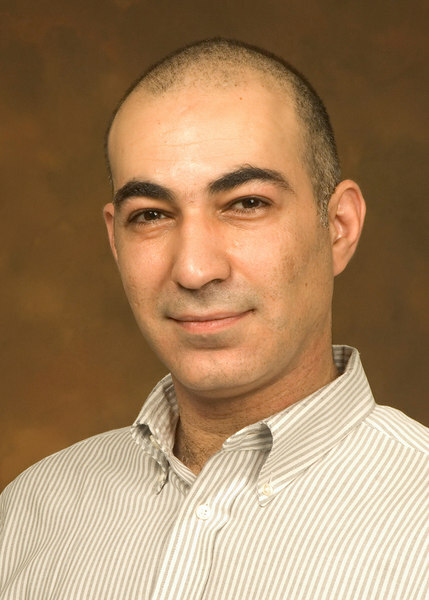 Starting in the 1990s and continuing into the years after the U.S. invasion of Iraq in 2003, professionals and others in the middle class have sought safety away from the Middle Eastern country, said Bassam Yousif, ISU associate professor of economics. Since people are a vital resource for economic development, Yousif explained, the departure of so many people left a void in society. The middle class, he said, is the group that’s most concerned about democratic rights. It’s a situation Yousif understands beyond studying the country’s economics. Born in Baghdad, he emigrated from Iraq to the United Kingdom in 1982, when he was 14 years old. During the next three decades, his career took him from the U.K. to the U.S., and he became one among millions of his countrymen to depart the nation they once called home. “So anyone that can leave the country has left the country, and so you end up with a situation where the country’s sort of hollowed out, and this is sort of a country that bears very little resemblance to the country that I grew up in, for example,” Yousif said. Some estimates have put the number of Iraqis that left the country in the 1980s and 1990s at four million people, with several million more departing the country after 2003, Yousif said. The violence in Iraq, coupled with the better employment prospects in other parts of the world, have factored into people’s decisions to leave the country in recent years. Reopened borders have also made it much easier for people to leave the nation. Yousif has studied and written extensively on economic development in Iraq. While some economists may use analysis of gross domestic product, or GDP, as a barometer of economic development, Yousif stresses that other social aspects must be analyzed as well. In Iraq during the 1980s, the country experienced improvements in areas such as literacy and infant mortality rates despite the Iran-Iraq War and stagnant GDP, Yousif said. Even as Iraq experienced social improvements from the 1950s to 1990, it also faced political difficulties when the Baath Party gained political power in 1968. Repression from the Baath Party, which also included former Iraqi dictator Saddam Hussein, against dissenting opinions left Iraqi society more vulnerable to hardship, Yousif said. The United Nations banned imports and exports out of Iraq in 1990, which by just two years later caused many of the social advances gained in the previous decades to be lost, Yousif said. To strengthen Iraq’s tenuous society, law and order need to be established before Iraq can fully address the issue of people leaving the country, Yousif said. He added that the only people who have returned are politicians and people looking to exploit the country.